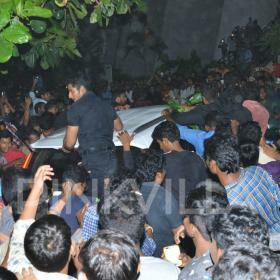 Home » Tamil » Photos » Photos: Shruti Hassan and her boyfriend Michael Corsale spotted in the city! 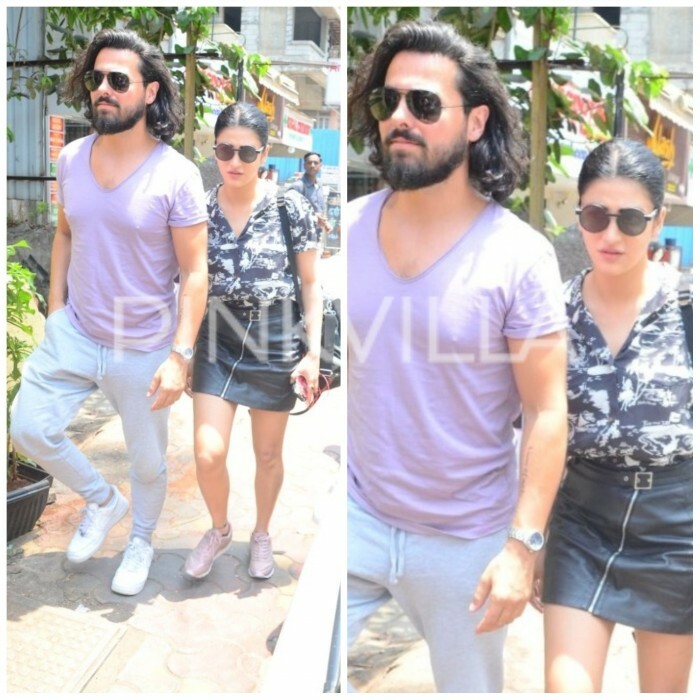 Photos: Shruti Hassan and her boyfriend Michael Corsale spotted in the city! The couple looked extremely happy and comfortable in each other's company as they were making their way together amid papz. 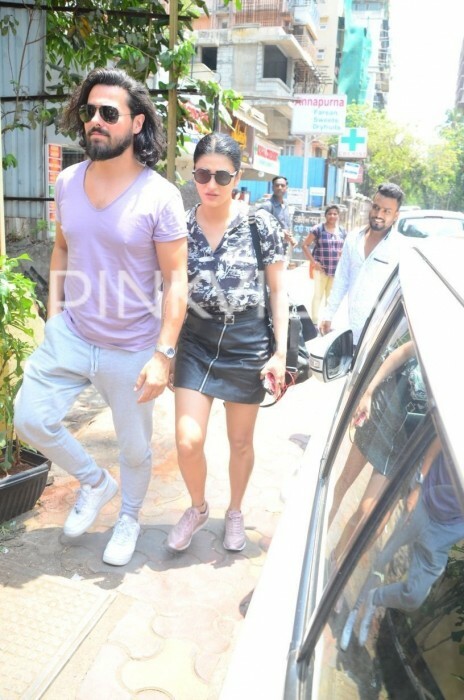 Kamal Haasan’s elder daughter and actress Shruti Haasan was spotted with her British boyfriend Michael Corsale in Mumbai earlier today. The couple looked extremely happy and comfortable in each other’s company as they were making their way together amid papz. 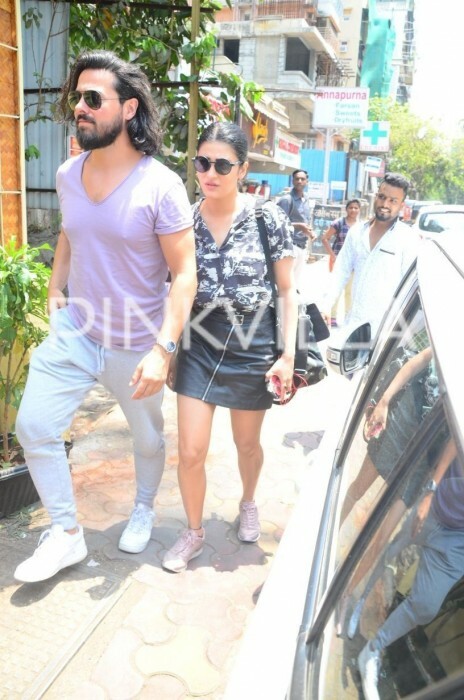 While Shruti Haasan looked pretty in a black leather skirt paired with a printed shirt and shoes, Michael Corsale carried a very casual look. Looks like Michael has dropped into the city to spend some quality time with Shruti. 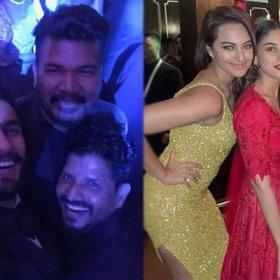 Well, the actress has been grabbing all the attention over her personal life since a very long time. From meeting each other’s parents to being spotted at the airport, the couple has now been favourites of the lenses. Earlier this year, the couple also attended a wedding function with Kamal Haasan in Chennai. Shruti’s boyfriend Michael is a London-based theater actor who has also worked in TV and films. Reports of their impending wedding have also been doing the rounds since a very long time, however, Shruti’s spokesperson has time and again rubbished the claims. We really love watching the bubbly actress on and off-screen. However, there is very little to talk about the actress on the work front as of now. Shruti was last seen in the Bollywood film ‘Behen Hogi Teri’ opposite Rajkummar Rao. everybody knows that desi girls that go with white men are whores! Imagine what nasty stuff she is doing to keep that degenerate around. If it is Indian = he better be an actor or a high profile athlete or businesses man. If it is a white skinned foreigner= Koi bhi chalega. Slutty how. By having a boyfriend. Frigging archaic mentality is what is dragging the country down, not up. Dont use feminism to justify running around like an alley cat first with Siddarth and others! Ofcourse, did you not refer to archaic mentality. So sleeping around is what? contemporary? Jealous?? don’t see your reflection in others. My comment was for the person above me, who said don’t use feminism to justify running around … that is archaic mentality. I agree. Sleeping around is an individual’s choice. Not mine or yours to pass judgement on. Like father like daughter, he taught her marriage is not an institution. be slutty, that’s Kamal pappa’s advice!